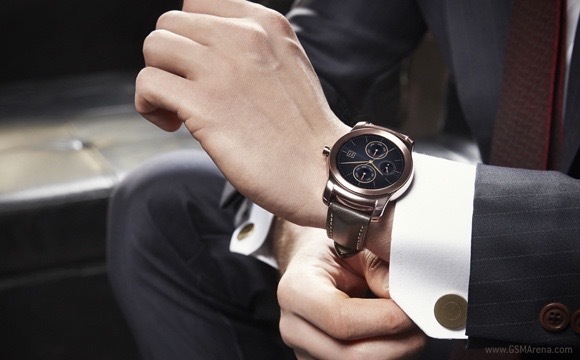 LG took the wraps off the high-end Watch Urbane timepiece. The smartwatch will be showcased during the upcoming MWC 2015 in Barcelona. LG Watch Urbane is a more upmarket version of the G Watch R. Thanks to narrower screen bezels, stainless steel body with polished silver or gold finish, and stitched leather band, the Urbane looks significantly more elegant than its predecessor. 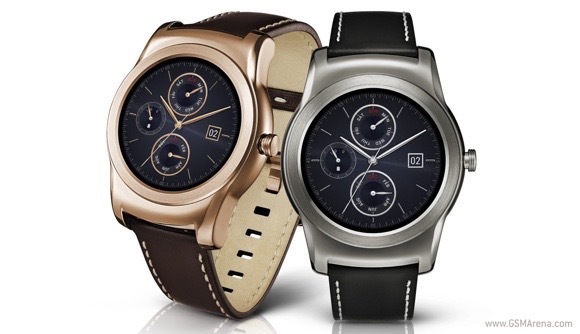 LG expects the Watch Urbane to appeal to both men and women. Specs-wise, the LG Watch Urbane packs Qualcomm Snapdragon 400 SoC with 1.2GHz CPU, 1.3” P-OLED display with a resolution of 320 x 320 pixels, 512MB of RAM, and 4GB of built-in memory. The smartwatch has IP67 rating for water and dust resistance. Physical measures of the LG Watch Urbane are 45.5 x 52.2 x 10.9mm. A 410mAh battery powers the device. LG will announce pricing of the smartwatch as it approaches availability. lol, grow a pair, apple fanboy.